Never mind that. Mastodon isn’t even the subject for today’s post. I only bring it up because today’s little gem comes from something I saw ON Mastodon. I was intrigued, so I went and looked it up. Apparently PICO-8 is like getting an old-school Atari 2600 for $15 that runs on Mac, Windows, & Linux, but with user made games. …And a built-in game design engine. With the ability to edit game music as well. And purchasing it also gives you a site license for your school. And students who want to use it at home can buy it at a discount. Every copy of PICO-8 comes with a site-wide license for an entire school, workshop or other similar educational space. Discounted take-home licenses for individual students are also available. … and had no idea what to do from there. I mean, I know you can code behaviors with the LUA programming language, but the rest of it reminded me of the first time I opened GIMP and wondered what all the buttons did. 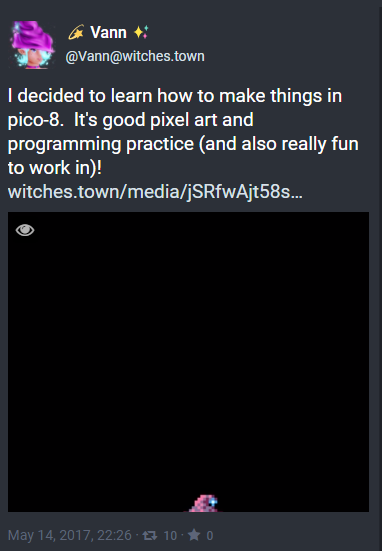 I’m not going to say that I will master PICO-8, but I’m not going to say that I won’t learn it at all, either. It’s something new, the games people are making with it are interesting, and should I learn enough about it to feel comfortable, you can bet I’ll be sharing it with my students next year. The install file for it is literally small enough to fit on a floppy disk, so I know getting it to run on my older lab computers (the ones that crash when exporting HD video) shouldn’t be an issue. And who knows? Maybe next year, one of my students will use PICO-8 to record their own homebrew machinima for our county Film Festival. The rules about trademarks prevent most forms of videos made of recorded gameplay, but if you make the game yourself, that should be an easy way around the problem. 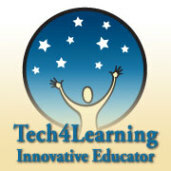 Download NASA Photos, Videos, & Audio For FREE!